We pursue the previously-noted association between brands and counterfeiting one step further to examine the relationship between brand positioning and anti-counterfeiting, based on a study of 130 well-known foreign brands in China. 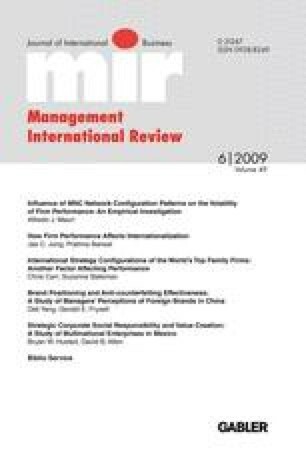 We test hypotheses about managerial perceptions as to the effects of different brand positioning strategies on the effectiveness of their actions to counter counterfeiting, in other words, whether branding positioning can help to stop counterfeiting, limit damage to firms and maintain brand reputation. Our findings confirm that brand positioning affects anti-counterfeiting effectiveness. Specifically, product reliability and customer services are compatible with efforts to stop counterfeit production, but innovative technologies and product features and functions appear to exacerbate the problem. We would like to express our sincere appreciation to the journal editors and the anonymous reviewers for their helpful comments in the process of revising this paper.